Ahoi is celebrated widely in Northern India, especially in the regions of Rajasthan, Uttar Pradesh, and other areas of The Indo Gangetic plane. On Ahoi, Mothers keep a fast for their children (sons) from dawn to dusk and pray for their well being, health and success. The connection between a mother and child is the most noble and pious. A mother always shows immense concern about her beloved child and is constantly worried about his troubles. We want her love, support and care in every phase of our lives. Ahoi is a festival that signifies this everlasting and beautiful emotion that every mother is indispensable and irreplaceable. Women, end their fast after sighting stars in the sky. This ritual of ending the fast varies from place to place, region to region. Some believe to end their fast after sighting the stars in the night sky, as on Ashtami night the moon rises late. 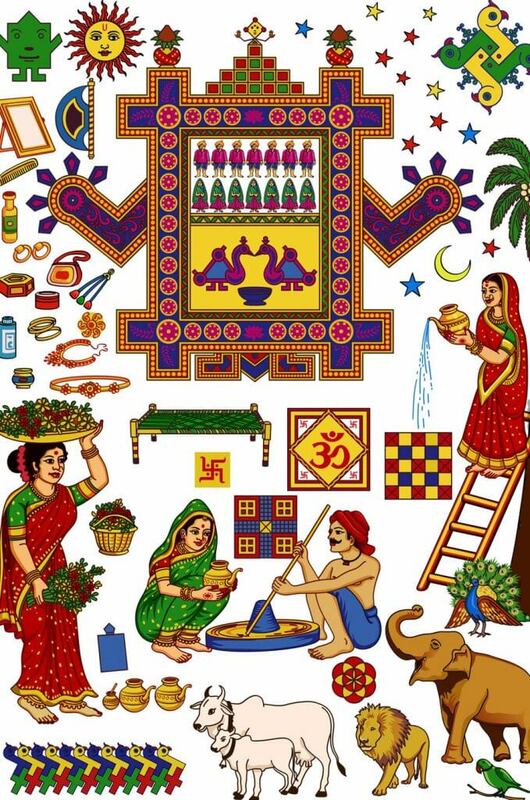 Ahoi is celebrated on the 4th day after Karwa Chauth. Some ladies do not even drink water during this fast meaning it is a very difficult fast. Like every other Hindu festival Ahoi also has a legend behind it. A long time ago, there lived a woman with her seven sons in a village near a forest. When Diwali was about to come, in order to renovate their house. She went into the forest to get some soil. While digging the soil in the forest, a cub of a lion was passing through, terrified, she accidentally killed a lion cub with the spade which she was using for the soil. She felt herself responsible and guilty for what happened to the cub. All her seven sons disappeared within a year and villagers considered them dead. They thought some wild animal might have killed her sons. The old lady was saddened and filled with sorrow and she correlated all the misfortune with the accidental death of the cub. One day, she told about the unfortunate and the accidental death of the cub to the old ladies of the village. They advised her that, she should pray to the Goddess Ahoi Bhagawati, an incarnation of Goddess Parvati. She was suggested to observe the fast and perform Puja for Goddess Ahoi herself. The woman worshiped Goddess Ahoi on Ashtami. 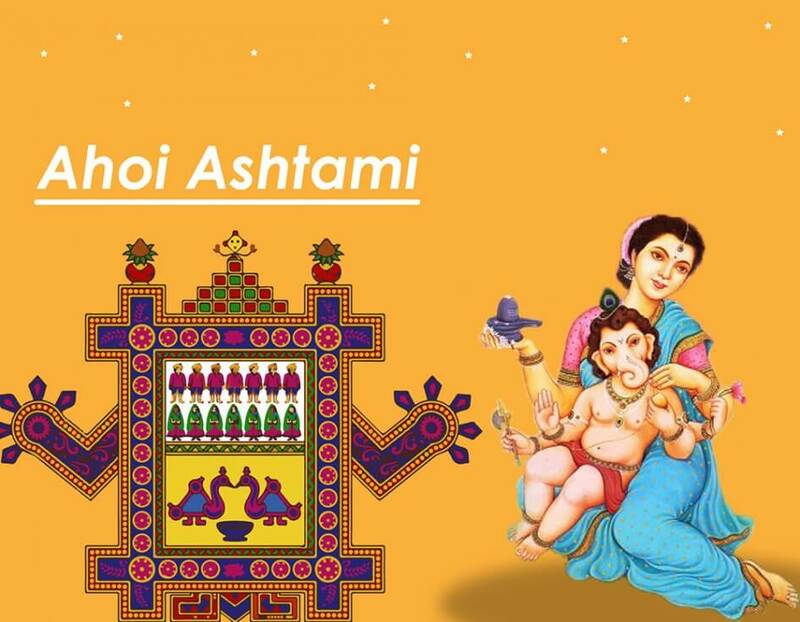 On the day of Ashtami , She observed a fast and performed Ahoi Mata Puja. She atones for her sins. Goddess Ahoi was pleased with her devotion and honesty and appeared before her, gave her the boon of long lives for her sons. Soon all her seven sons returned home alive. From that day onwards, it became a ritual to worship Goddess Ahoi Bhagawati every year on the day of Kartik Krishna Ashtami. 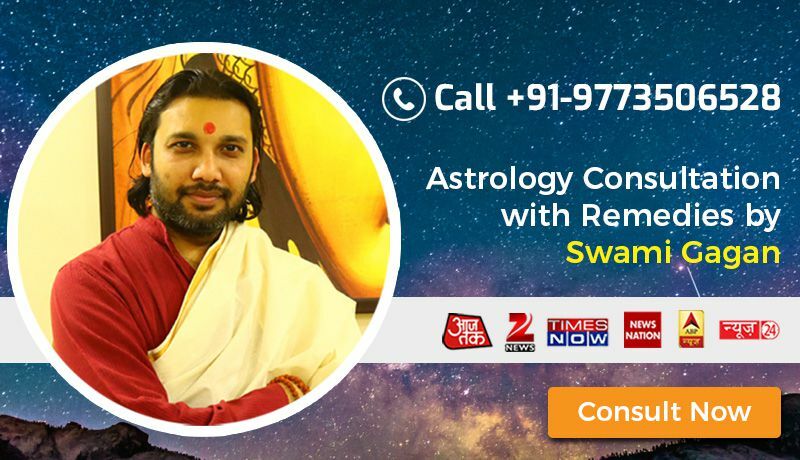 If you want to know about the future of your beloved children, Contact us at: +91-9599955918 for FREE Astrology Consultation.